There are lots of necessary evils that as a woman we just can’t get away from. Buying tampons, shaving armpits and plucking eyebrows – all tasks we’d rather avoid, but know it’s much easier if you just get it over and done with. Filing the heels of my feet is possibly the thing I like doing least in this world; not only does it mean I have to look at my manky footsies, but it inevitably sees me trying to become a contortionist and get in all sorts of strange angles to ensure my skin is filed evenly. After the deed has been completed it feels like I’ve just had a work out, pumping the pumice up and down to chip away at the deadness caused by walking the streets of London Town. For such a little reward it aint half hard work! 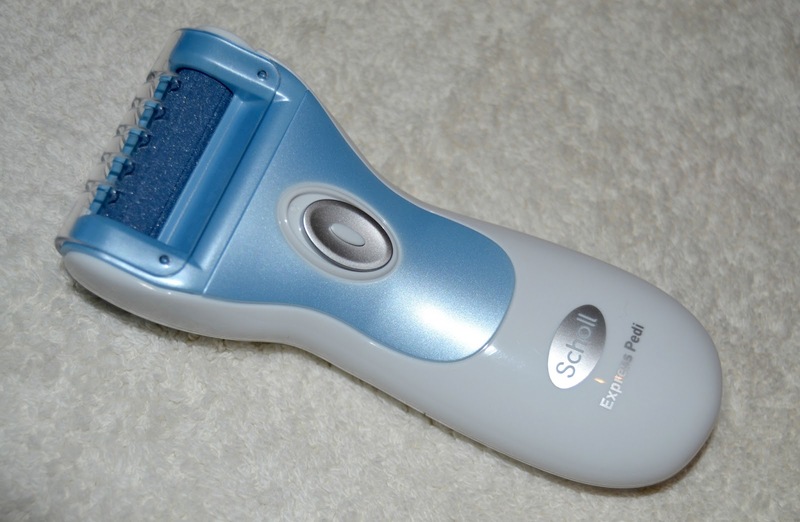 Scholl are undoubtedly the King of foot care and to capitalise on this title have just launched a new little gadget that’s going to save me a lot of hard work, while giving me the little boost I need to get the sandals out ready for Summer. 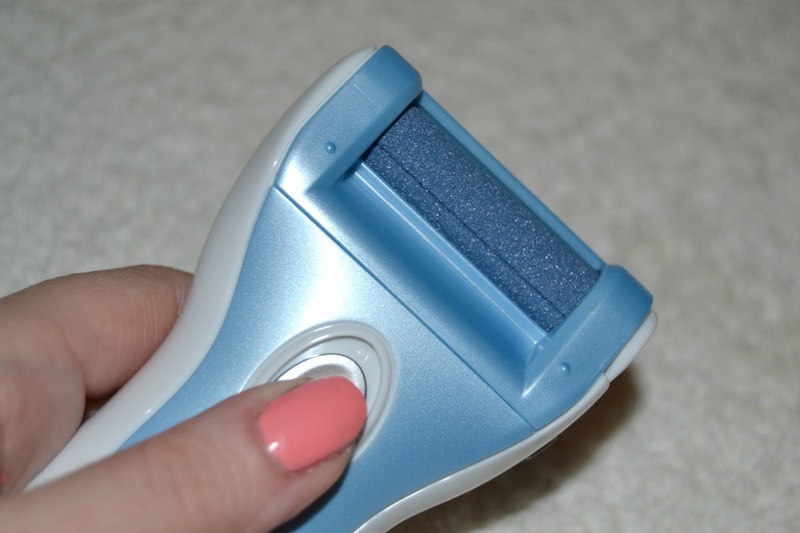 Their new Express Pedi is a hand-held pedicure device that removes dead skin while smoothing your otherwise cracked and nasty heels. 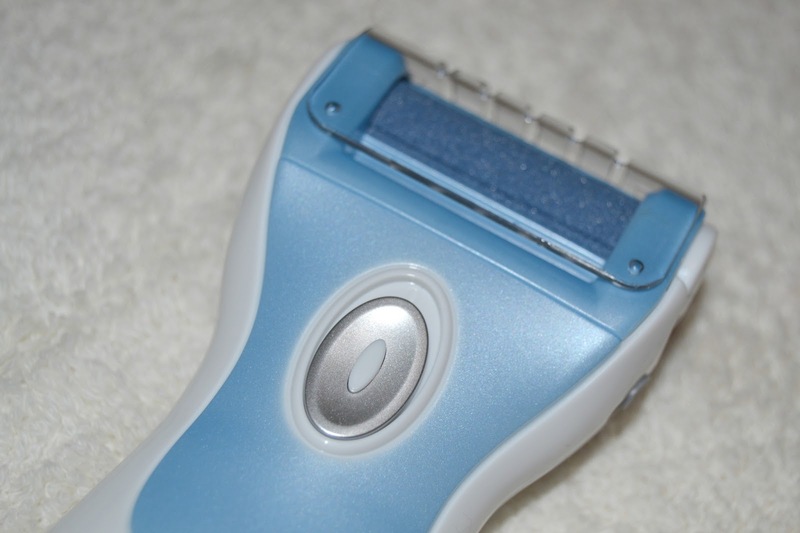 It needs a couple of batteries, you turn it on and simply hold against your heel – the little roller at the end turns around to work away dullness, leaving feet smooth in a matter of minutes. My feet went from looking pretty awful to being at least acceptable in under 5 minutes, not causing me any drama or a need to do the splits to reach a hard bit. You don’t need to do anything to prepare the feet, but it’s a good idea to add some Scholl Dry Skin Cream after to replenish a lot of the lost moisture. I love how simple this gadget is, how small it is to handle, the fact there’s not a massive storage space issue and how quickly it can be used. You can even replace the pumice roller once it’s reached its limit, ensuring you have smooth and pretty feet forever more. The device is pretty pricey at £39.99 (with 2 new rollers coming in around £12.99) but considering a pedicure is going to set you back about £20.00, it can be seen somewhat as an investment. It’s comparable to other products and brands, cheaper than a full on pedicure kit and handy as hell to use. I’m sold on this and my feet are thankful. Thanks for the review, this product looks fantastic!I have just ordered this off of Amazon, it's going to save me so much money on pedicures!Thanks! Cant wait to try this out! I am so tired of the pummus rock!